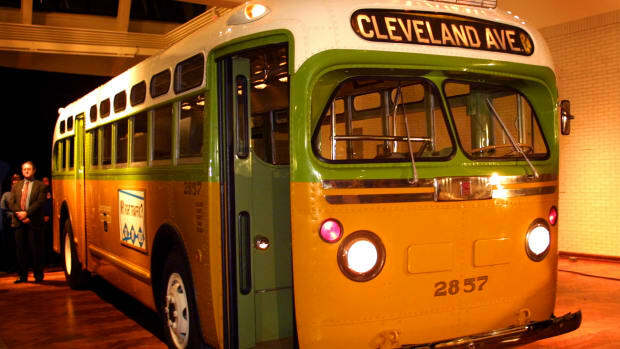 The Selma to Montgomery march was part of a series of civil-rights protests that occurred in 1965 in Alabama, a Southern state with deeply entrenched racist policies. 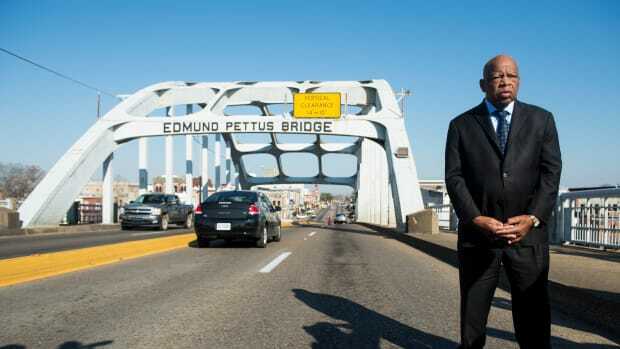 In March of that year, in an effort to register black voters in the South, protesters marching the 54-mile route from Selma to the state capital of Montgomery were confronted with deadly violence from local authorities and white vigilante groups. 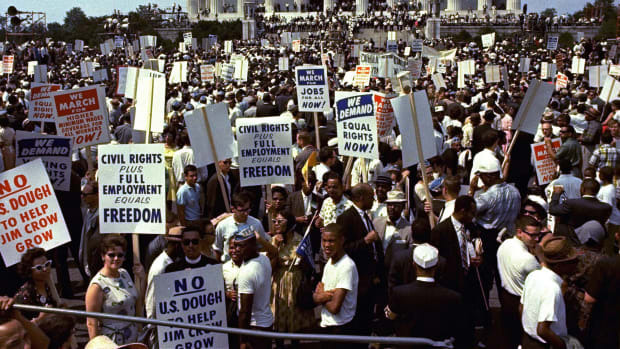 As the world watched, the protesters—under the protection of federalized National Guard troops—finally achieved their goal, walking around the clock for three days to reach Montgomery. 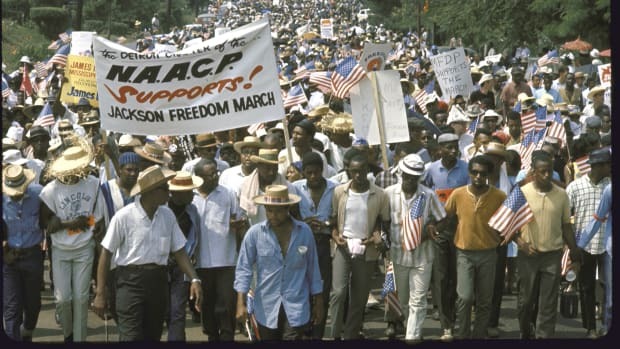 The historic march, and Martin Luther King, Jr.’s participation in it, raised awareness of the difficulties faced by black voters, and the need for a national Voting Rights Act. Even after the Civil Rights Act of 1964 forbade discrimination in voting on the basis of race, efforts by civil rights organizations such as the Southern Christian Leadership Council (SCLC) and the Student Nonviolent Coordinating Committee (SNCC) to register black voters met with fierce resistance in southern states such as Alabama. In early 1965, Martin Luther King, Jr. and SCLC decided to make Selma, located in Dallas County, Alabama, the focus of a black voter registration campaign. King had won the Nobel Peace Prize in 1964, and his profile would help draw international attention to the events that followed. Alabama Governor George Wallace was a notorious opponent of desegregation, and the local county sheriff in Dallas County had led a steadfast opposition to black voter registration drives. As a result, only 2 percent of Selma’s eligible black voters (about 300 out of 15,000) had managed to register to vote. Did you know? Ralph Bunche, who participated in the Selma to Montgomery March with Martin Luther King, Jr., won the Nobel Peace Prize in 1950 for his successful negotiation of an Arab-Israeli truce in Palestine a year earlier. On February 18, white segregationists attacked a group of peaceful demonstrators in the town of Marion, Alabama. In the ensuing chaos, an Alabama state trooper fatally shot Jimmie Lee Jackson, a young African-American demonstrator. 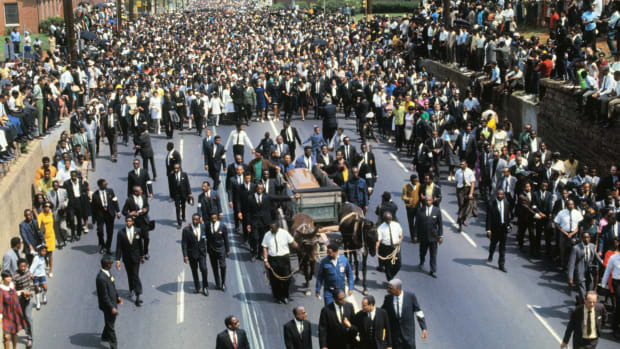 In response to Jackson’s death, King and the SCLC planned a massive protest march from Selma to the state capitol of Montgomery, 54 miles away. 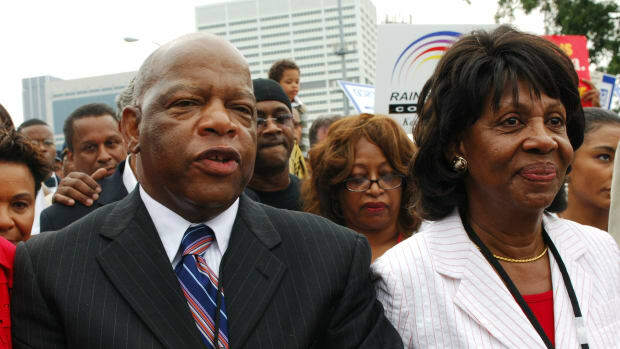 A group of 600 people, including activists John Lewis and Hosea Williams, set out from Selma on Sunday, March 7. The marchers didn’t get far before Alabama state troopers wielding whips, nightsticks and tear gas rushed the group at the Edmund Pettis Bridge and beat them back to Selma. The brutal scene was captured on television, enraging many Americans and drawing civil rights and religious leaders of all faiths to Selma in protest. Hundreds of ministers, priests, rabbis and social activists soon headed to Selma to join the voting rights march. 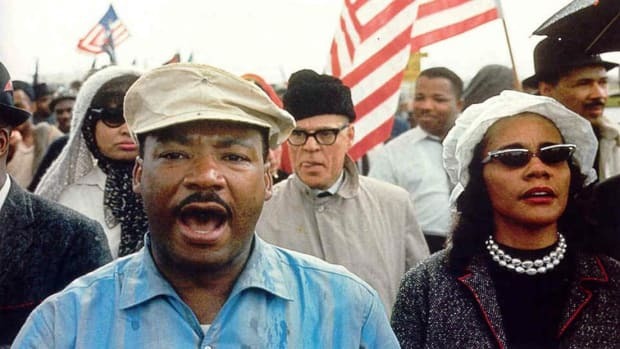 On March 9, King led more than 2,000 marchers, black and white, across the Edmund Pettus Bridge but found Highway 80 blocked again by state troopers. King paused the marchers and led them in prayer, whereupon the troopers stepped aside. King then turned the protesters around, believing that the troopers were trying to create an opportunity that would allow them to enforce a federal injunction prohibiting the march. This decision led to criticism from some marchers, who called King cowardly. That night, a group of segregationists attacked another protester, the young white minister James Reeb, beating him to death. Alabama state officials (led by Wallace) tried to prevent the march from going forward, but a U.S. district court judge ordered them to permit it. Six days later, on March 15, President Lyndon B. Johnson went on national television to pledge his support to the Selma protesters and to call for the passage of a new voting rights bill that he was introducing in Congress. 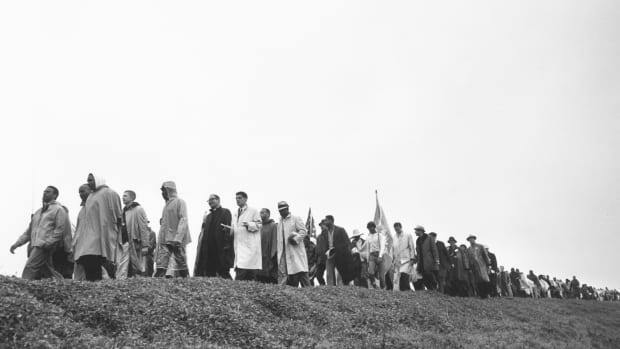 Some 2,000 people set out from Selma on March 21, protected by U.S. Army troops and Alabama National Guard forces that Johnson had ordered under federal control. After walking some 12 hours a day and sleeping in fields along the way, they reached Montgomery on March 25. Nearly 50,000 supporters—black and white—met the marchers in Montgomery, where they gathered in front of the state capitol to hear King and other speakers including Ralph Bunche (winner of the 1950 Nobel Peace Prize) address the crowd. 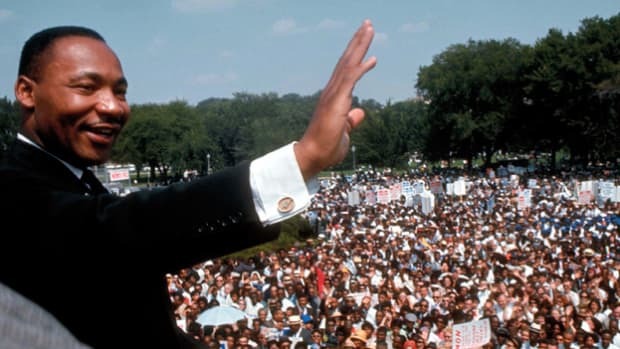 “No tide of racism can stop us,” King proclaimed from the building’s steps, as viewers from around the world watched the historic moment on television. On March 17, 1965, even as the Selma-to-Montgomery marchers fought for the right to carry out their protest, President Lyndon Johnson addressed a joint session of Congress, calling for federal voting rights legislation to protect African Americans from barriers that prevented them from voting. That August, Congress passed the Voting Rights Act, which guaranteed the right to vote (first awarded by the 15th Amendment) to all African Americans. Specifically, the act banned literacy tests as a requirement for voting, mandated federal oversight of voter registration in areas where tests had previously been used, and gave the U.S. attorney general the duty of challenging the use of poll taxes for state and local elections. Along with the Civil Rights Act, the Voting Rights Act was one of the most expansive pieces of civil rights legislation in American history. 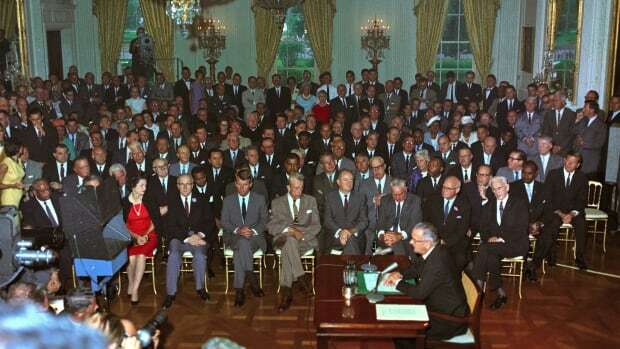 It greatly reduced the disparity between black and white voters in the U.S. and allowed greater numbers of African Americans to participate in politics and government at the local, state and national level.